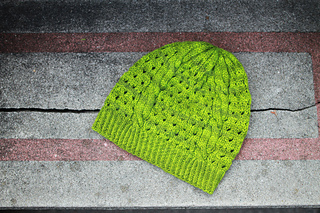 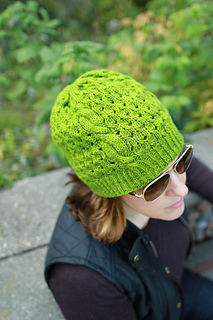 Double twisty cables and a very interesting eyelet pattern combine to create the perfect season spanning hat. 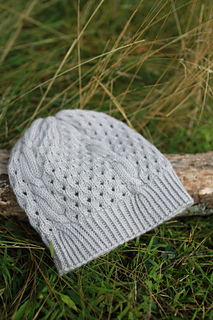 The Storm Door Hat is light and airy and just the ticket for those times when we need a hat that breathes but can still keep the north winds at bay. 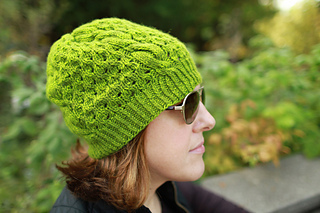 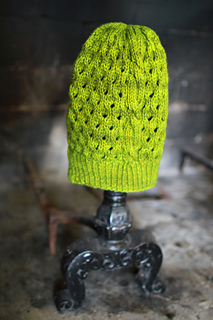 Knit in Plucky Scholar, or your favorite worsted weight yarn, this hat is a quick knit and one that you will probably need in several colors!